In June of 1996, a meeting for local dentists, dental professionals, and clergy, called and hosted by Dr. Nelson Granade, pastor of the First Baptist Church of North Wilkesboro, convened a meeting of community leaders to clarify what school nurses and social workers had long recognized as a great unmet human need. As a result, the Dental Health Task Force was organized. By September 1996, the task force had identified several clear goals relative to dental needs in our community, the biggest being access to dental care issues for Medicaid dependent and indigent patients. In the spring of 1999, a board of directors, known as the Wilkes Dental Consortium, Inc. was formed for the purpose of organizing and managing the dental clinic. The Dental Consortium signed a contract with the Wilkes County Health Department, which essentially identified the Wilkes Public Health Dental Clinic as the service provider for the Health Department. Beth Lovette, Health Director, and many of her staff have taken an active role in working with the Consortium in developing the project. By the spring of 2000, Dr. Donna Alexander had been recruited to begin services in Dr. Dwight Ware's office space. Dedra Roberts worked as the first dental assistant and Beth Whittington as receptionist. The present facility quickly became too small and the Health Foundation stepped in to help. Remodeling began in the part of West Park previously occupied by Sky City. Dr. Steve Jackson, chair of the clinic facilities committee, coordinated plans with Alvin Sturdivant, who served as the volunteer superintendent of the project. In March 2001, the Wilkes Public Health Dental Clinic opened in it's permanent office at West Park. The new office allowed the clinic to double the treatment space and increase the staff to two dentists and support staff. Dr. Mona Curran was hired during the summer to begin practicing in September. This allowed for a sufficient increase in patient care. 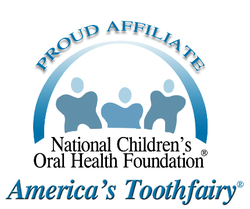 Additionally, due to another grant from the Health Foundation, a Mobile Dental Clinic capable of serving children at the schools was purchased and began serving children in the Fall of 2001. Boomer-Ferguson was the first school to host the Mobile Dental Clinic. Administrators in the Wilkes County School System have been instrumental in lending support to the project. By the summer of 2002, the Wilkes Dental Consortium realized that a third dentist was needed to keep both clinics fully operational. Dr. Evelyn Salgado joined the practice and brought better communication for the latino patients. As the practice grew the need for additional services for adult care was identified and a fourth dentist was added. Having all these providers in a limited space was difficult and led the Board to realize that the number of patients and the amount of services the clinic could provide was being seriously restricted. Therefore, the decision was made in the Spring of 2004 to expand the dental clinic once more. This expansion allowed for a larger children's clinic and a seperate adult clinic.